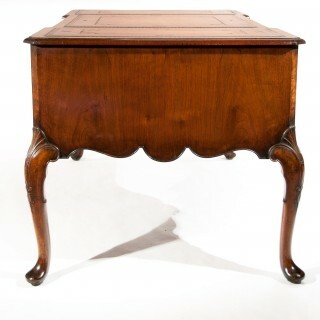 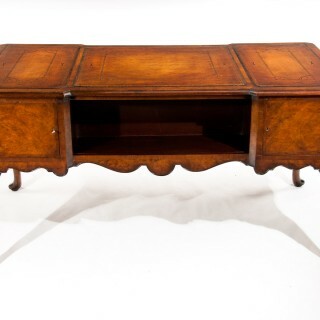 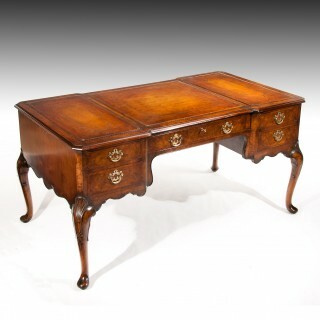 ¬¬A very attractive burr walnut breakfront partners writing desk of good colour dating to circa 1900-1920’s. 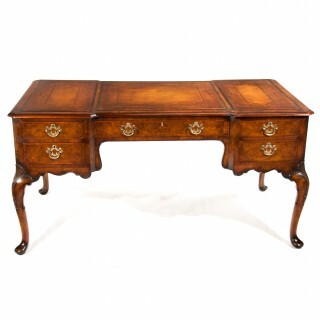 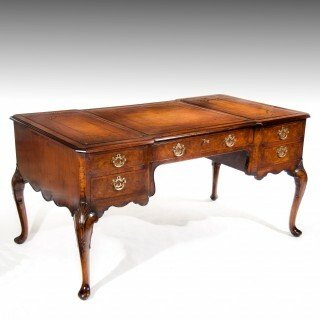 This antique desk has been constructed to the highest standard having choice cuts of burr walnut veneer good oak sided draw linings. 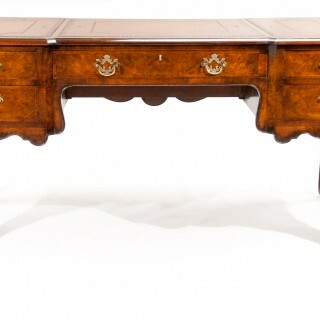 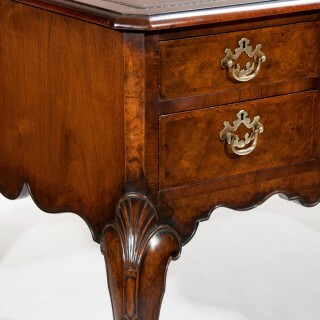 This standard of desk will have undoubtedly been made by either Maple and Co or Waring and Gillows as these were the top cabinet makers of their era. 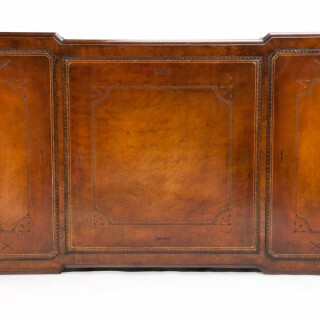 The rectangular top having an inverted breakfront middle with a burr walnut crossbanded top having a larger centre section with two smaller sections flanking, each having a newly gilt tooled tan leather insert. 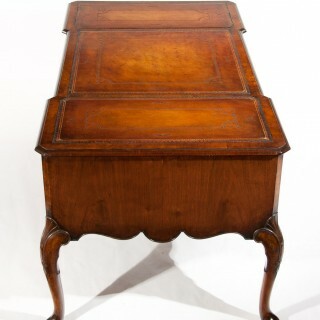 Below this is an arrangement of five drawers, one larger centre drawer with two graduated drawers flanking to each side. 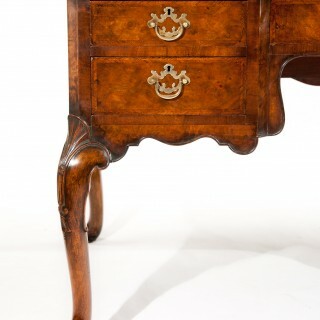 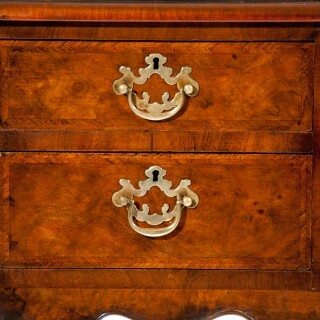 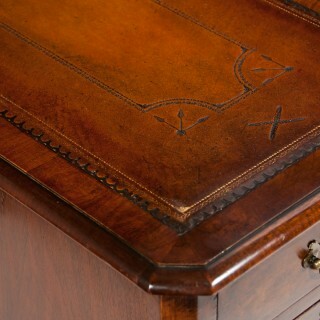 All of the drawers having oak lined sides and very fine handcut dovetails showing a sign of quality and craftsmanship. 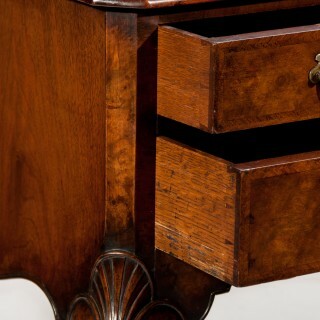 Each drawer has a herringbone crossbanded edge with a burr walnut central panel, retaining their original solid brass fretted batwing swan neck escutcheons handles. 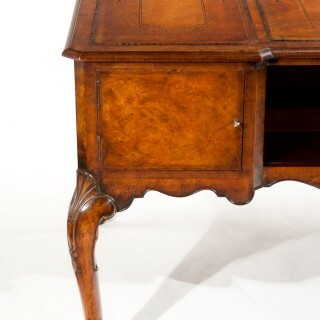 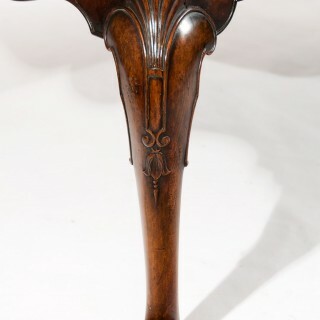 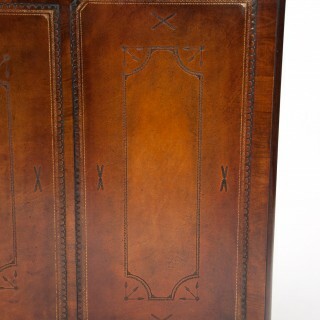 Having canted corners and a shaped and moulded frieze / apron to the bottom, this desk is raised on cabriole legs with hand carved shell to the knee and bell flower decoration terminating on pad feet. 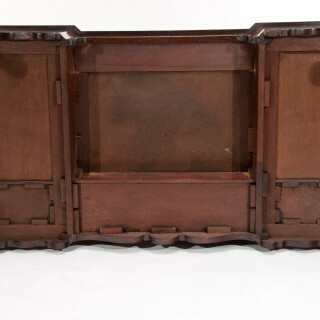 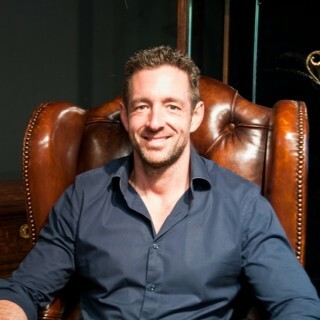 Being a partners desk there is a working opposite side which consists of and a central bookshelf compartment flanked by two herringbone crossbanded lockable cupboard doors which open to reveal storage compartments. 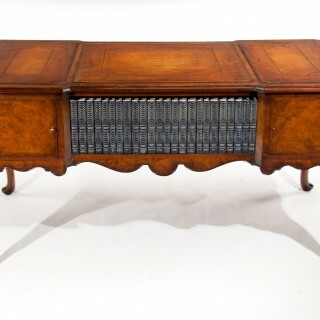 Please note the books are not included and for show purposes only. This is a very attractive partners desk in excellent fully restored condition with a wonderful colour and striking veneers. 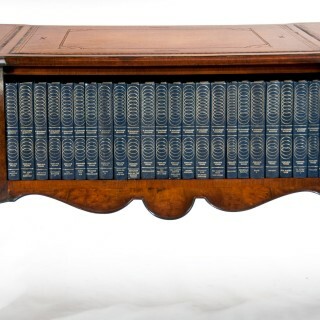 A fine addition ready for any home or study area.